Time is running out, be sure to get your order in time to get free products through this Sale-a-bration promotion. If you want to order on line between now and Monday 3/31/14 use the hostess code 673AY37S Click HERE to download SAB catalog. Your order will be shipped directly to you. Remember if your order comes to $150 don't use the hostess code because you will be your own hostess with $25 in free products. If your order comes to $300 you get an extra $30 in hostess products besides the $50 you already earned plus a free SAB product for each $50. What a win win for you. 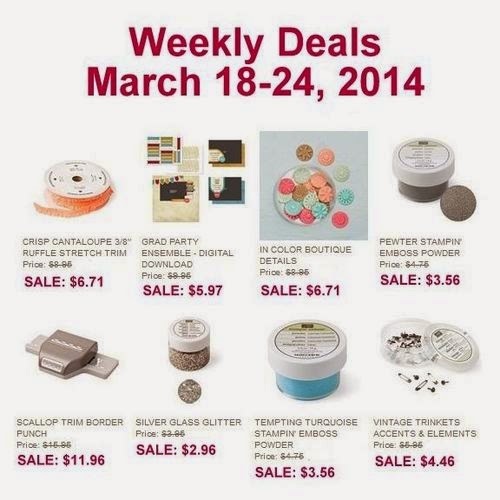 But wait there is more, join my team with Stampin' Up! and you get to choose $150 worth of products for only $99.00. When you are a Stampin' UP! demonstrator you get a 20% discount every day. Join from now through Monday 3/31/14 and get a free set of incolor markers. Check out the My Paper Pumpkin promotion HERE! Don't forget to choose me as your demonstrator if you do not already have a demonstrator. Today I have a special guest stamper. Susan offered this card for her shoebox swap at the library yesterday. I love her card! Thanks Susan for sharing with us. These are my cards for my "baby card class" today. We had such a good time playing together. I used the "Baby, We've Grown" stamp set on each of them. I have had the Label Card Thinlits Die for some time and forget to use it, so today was the day to try it again. This was a fun card but I have a secret!!! Shhhhh... I don't do coloring in very well so I stamped the owls on dsp and card stock and cut them out so they would look soooo cute. Then I used dimenionals to place them on the card. I added some leaves from the bird builder punch to looks like they are sitting in a tree. Out of pearls but they would look good in the middle of the flowers. I saw this on Pinterest Kerry Timms from the UK had it pinned. Love her work. I did add the blue top and bottom trim and I used the blue theme and she used the pink theme. Varies colors of cardstock and dsp for the owls above and I am in love with the Starburst Framlits Dies. Create with Stampin' Up! - Live Streaming Event March 26th! 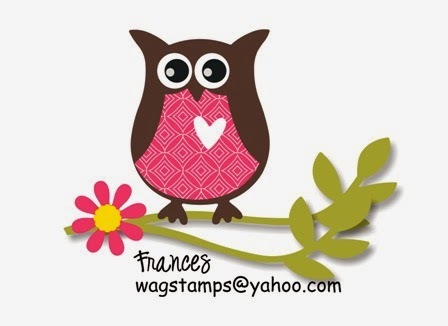 Have you ever wished you could stamp with the folks at Stampin' Up! 's home office? Your wish is granted--and your opportunity is coming soon! Here's the basic rundown. Who: You! and anyone who wants to play along. What: This is a live, streaming event where we will stamp with the All Wrapped Up Bundle on page 6 of the Sale-A-Bration brochure. Our projects will also feature the Sweet Sorbet Designer Series Paper, so you may want to order that as the free Sale-A-Bration product. Then choose your preferred device--computer, tablet, smart phone, or even hook up your computer to your TV--and tune in to learn some fun new things to do with the bundle! If you don't have the bundle check out the ideas and you can order it after the Live Stream. When: March 26, 2014, at 5:30 PM, 7:30 PM, and 11:00 PM (all times MT). We'll demonstrate the same projects each time, so choose the one that's best for you. Where: You don't even have to leave home. Come to www.youtube.com/stampinupvideo at your chosen time, and be prepared to stamp! We'll also award door prizes to random participants. 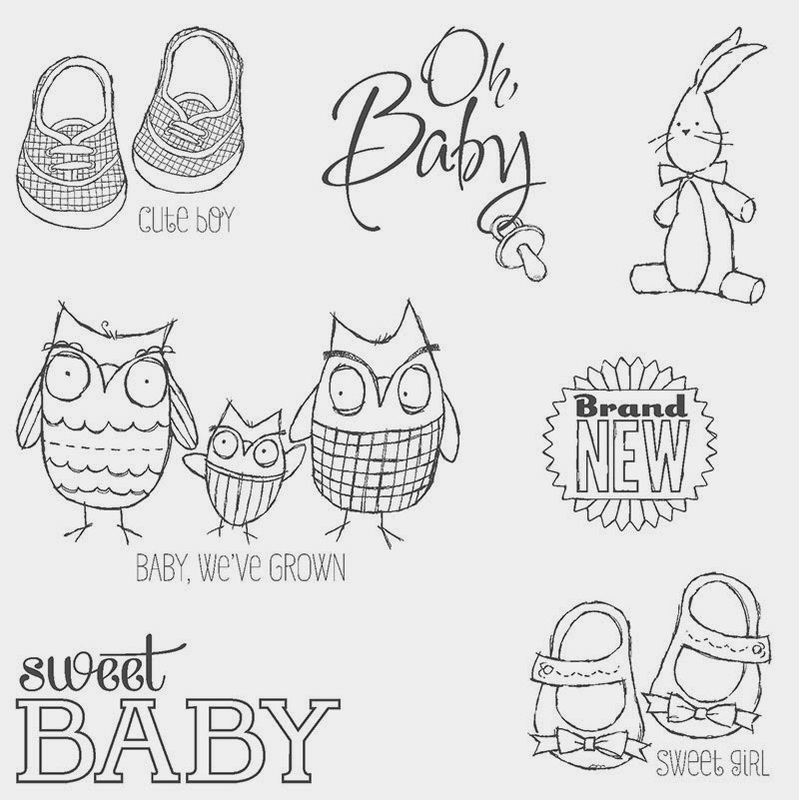 Join us to make 3 projects using the Baby We've Grown stamp set. I have a few new babies in my life and my friends grandchildren etc. So I thought this was a great class for spring babies. RSVP today to save your spot. Only 6 spots available. You will be making 3 projects that you can use for cards or an addition to a scrapbook page. Maybe I should call this a card scrap. 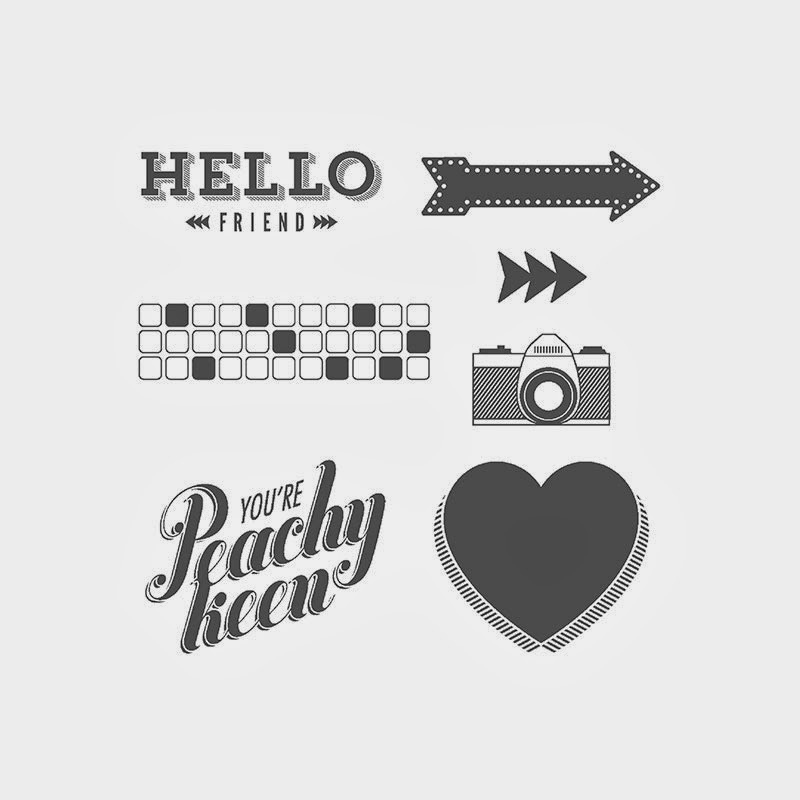 Anyway what a fun stamp set plus we will be using the new coordinating On Film Framelits. RSVP today to save your spot, Only 6 spots available. 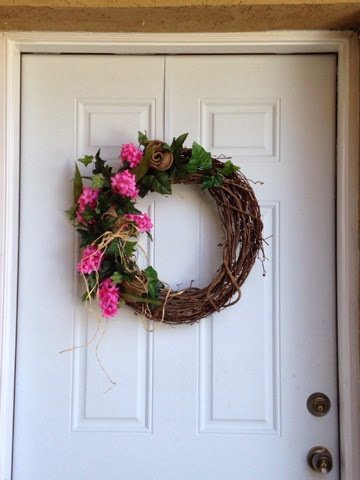 Today I made this sweet wreath for my front door. 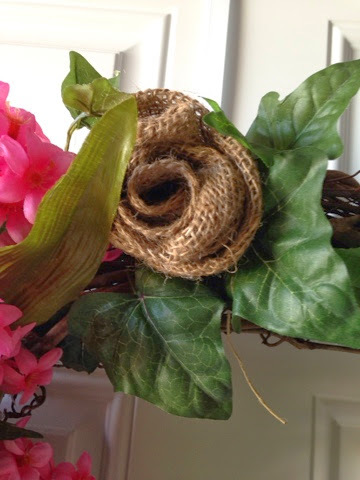 I looked around my craft room and found the faux pink hyacinths, burlap, raffia and faux ivy. I had a fall wreath with fall leaves and pumpkins and took it apart and added those items with hot glue. What would we do without hot glue. Below is a close up of the burlap rosettes that I made with some folded ribbon style burlap. I just would it around itself and used hot glue to hold it together. Big Shot Class ~ Last weekend I offered a big shot class at the Salvation Army Crop. We had so much fun. They each brought their big shot and plates and platform. 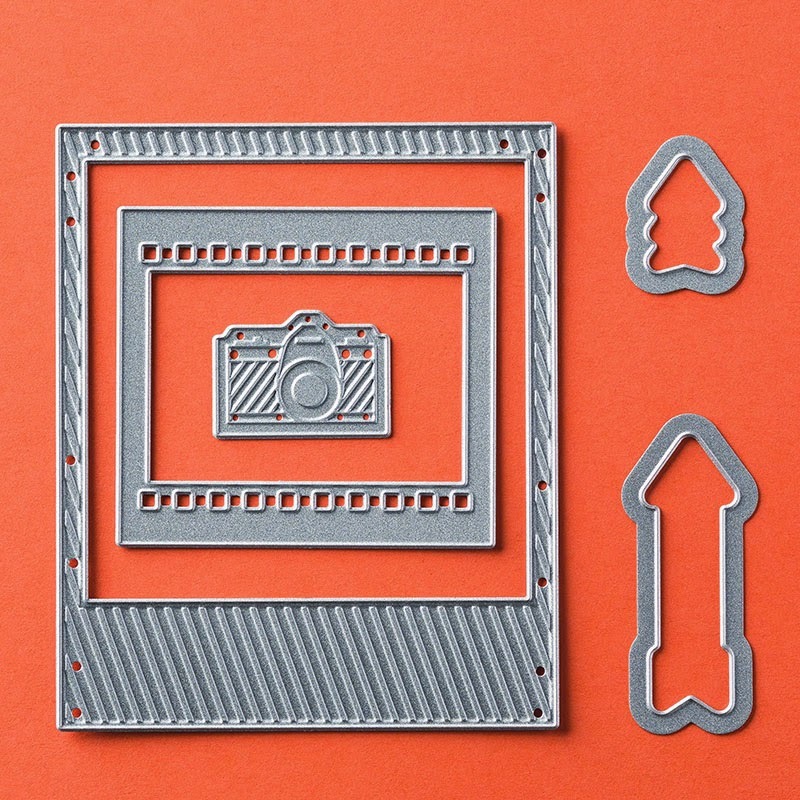 I brought my big shot dies and embossing folders and framelits for them to use. My make and take was a garden stake made from aluminum flashing. Love it. They also made bag tags that I did not take a picture of. :( so sorry. I printed the names on my computer first using the business card template on Microsoft Word and then cut the cards out and added the punched out owls. Thanks for stopping by! PS! I thought since I was on an owl kick I would make my tag at the end of my blog post using the owl punch on MDS! Love My Digital Studio... try it free for 30 days contact me for more information. This is a card I featured recently, I love the spotlight technique. Sometimes I back the circle punch with a solid color of card stock but I forgot it this time but guess what I love it. So did my customers last weekend at the Salvation Army Crop. This is the thank you card that I made and dropped in my customers bags this last week. Another way to use the same set. Labels: Blessed Easter, Frances Wagner, Happy Watercolor, MDS, Stampin UP!